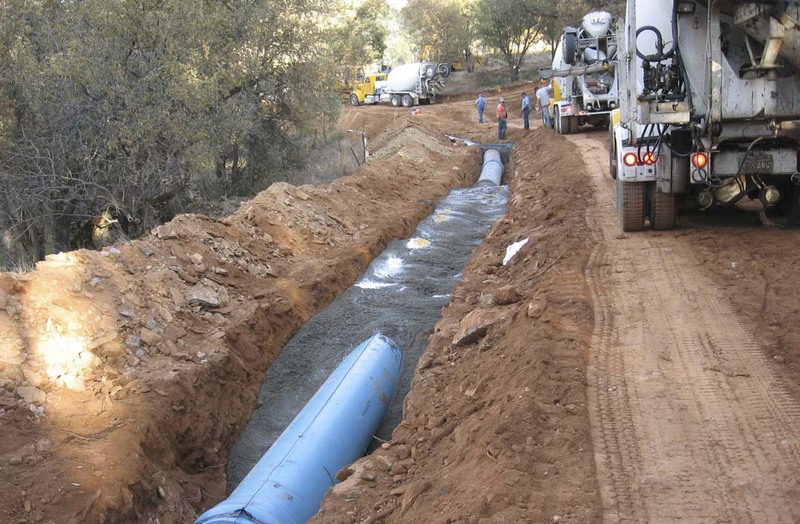 The Emergency Sewer Line Replacement Project included the removal and replacement of approximately 468 linear feet of deteriorating, 50 year-old corrugated metal, 14-inch diameter sanitary sewer trunk pipeline (see photo above), serving the community of San Andreas in Calaveras County. 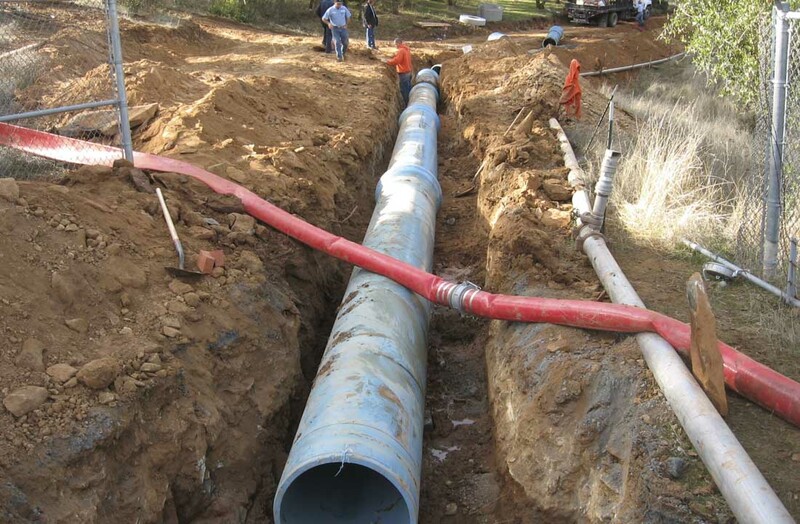 The pipeline was replaced with a 24-inch diameter HDPE sanitary sewer pipe. 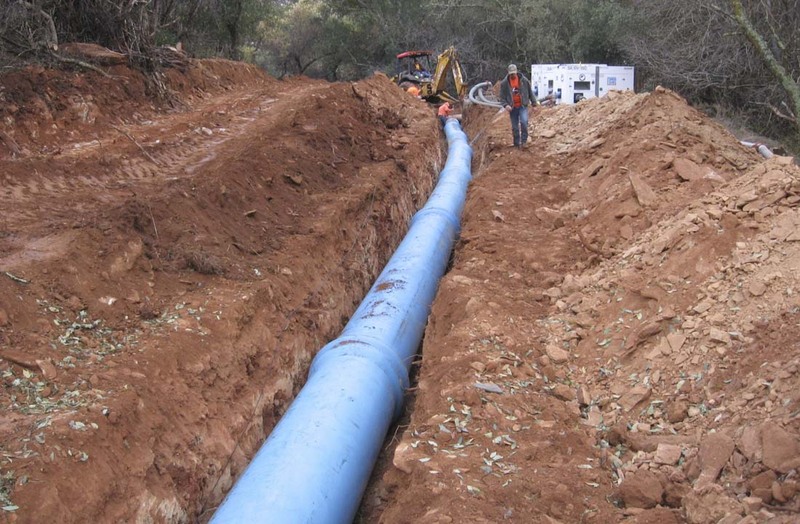 The project required that the existing trunk line remain in operation during construction until the switchover to the newly completed pipeline could be made. The project was further complicated by poor access, rock outcroppings and steep terrain requiring that much of the replacement pipeline be installed by hand labor.